Dr. Eva Selhub is an internationally recognized expert, physician, author, speaker, scientist and consultant in the fields of stress, resilience, integrative medicine, executive health and organizational wellbeing. She is and Adjunct Scientist at the Human Nutrition Research Center for Aging (HNRCA) at Tufts University and also a Level 1 Crossfit Trainer and member of the Job Task Analysis (JTA) panel for the Certified CrossFit Trainer Credentialing, enabling her to also advise her clients in fitness and nutrition. 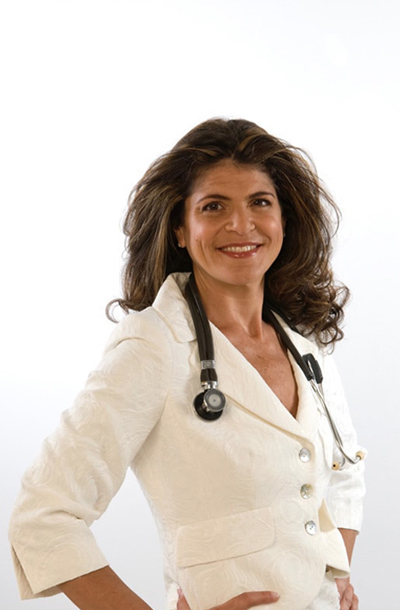 Board Certified in Internal Medicine, Dr. Eva served as an Instructor of Medicine at Harvard Medical School and as a Clinical Associate of the world renowned Benson Henry Institute for Mind-Body Medicine at the Massachusetts General Hospital for close to 20 years, serving as their Medical Director for six of those years. Dr. Selhub is now working with clients, corporations and scientific colleagues to redefine the ways in which we approach health and leadership to a model that incorporates alternative approaches to health as well as the concept of fitness and resilience that is achieved not only physically, but also mentally and spiritually. As an author, speaker and coach, Dr. Selhub uses her powerful gift to translate complex information–be it scientific or esoteric writings from wisdom traditions– into practical and usable knowledge that any individual can access. She bridges science with spirit, fitness with spiritual beliefs, corporate challenges with scientific understandings of stress and homeostasis, allopathic medicine with alternative medicine, and provides the framework for individuals to achieve transformational health and wellbeing. Her newest book, Your Health Destiny, represents the culmination of her 20 years of practice in medicine with her experience in working with more esoteric healing traditions, and fusing Eastern and Western approaches to health and wellbeing. Dr. Eva is also the author of The Love Response and the co-author of Your Brain on Nature, and has a new book due to be released, The Stress Management Handbook (due out January of 2019). Dr. Selhub has also authored multiple relaxation CD’s, Relax into Love, Finding Stillness, Ten Minutes to Relax: The Love Response (produced by the Relaxation Company), and Meditation for Life, Love and Flow (produced and recorded with Steven Halpern). Dr. Selhub has been published in medical journals and featured in national publications including The New York Times, USA Today, Self, Shape, Fitness, and Journal of Woman’s Health, and has appeared on radio and television in connection with her work, including the Dr. Oz show. Dr. Selhub writes for a variety of online platforms aside from her own including The Huffington Post, MindBodyGreen, Steven Aitchison, Success Stories, Rebelle Society, Good Men Project and Human Spaces. With her engaging personality—whether in the form of an individual consultation, corporate seminar, spiritual healing retreat, or keynote lecture—Dr. Eva encourages her audience to truly partake in transformation to achieve better resilience, connecting with their creative genius, and becoming healthier and more effective leaders.